There isn’t an awful lot that can make me leave my house on these cold, wet, miserable winter nights; but the promise of seeing Eats Everything B2B with Richy Ahmed at Kaluki certainly made me brave the cold and throw on my dancing shoes for a spectacular night at Manchester’s very own Warehouse Project. Warehouse Project is one of the few places I have been to where you are literally friends with everyone you meet. The music there feels as though it is pumping through your veins and you dance with the crowd as if they are your oldest and closest mates. Last Saturday did not disappoint. At first look the lineup gave me shivers and as the night began I knew I would be leaving Store Street satisfied. The night kicked off at 9:30 till 10:30 with Pirate Copy, who warmed the crowd up admirably and as more and more people danced through the arch ways the mood was set: a collective air of anticipation, of excitement. When the set times were released there were some raised eyebrows as Eats Everything b2b with Richy Ahmed were wedged in before midnight. But as the boys came on and room one became instantly full, worries of a stale, early-night atmosphere dissipated. Both selectors were absolutely astonishing; there wasn’t an inch of my body that didn’t want to move. When Eats dropped summer slayer ‘Dancing’, everyone present was lost in three minutes of sweeping, bouncing euphoria. 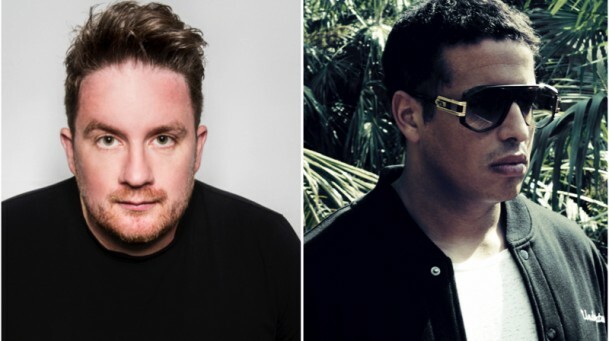 I’ve seen both Eats Everything and Richy Ahmed separately but seeing the two play back to back was an experience not to be missed, the two of them were magical, and in this case teamwork really was dream work (sorry, not sorry for that, the cheesiest of descriptions). After the Eats/Richy tag-team had finished their three and a half hour set, which seemed to be over in two minutes, it was time for Luciano to show us what he’s got. I’ve never seen Luciano, so I was very excited and although I had absolutely no room to breathe because the main room by this point resembled a tin of sardines, I still managed to throw my hands up and jump around to the plethora of classic and contemporary tech-house on offer. Room Two is probably the people’s favourite at WHP. It’s smaller, but benefits from better sound quality and the luxury of a bit more room to bust a shape or two. If people partying at The Warehouse Project don’t come up with at least two new moves every time they’re in there then I think they’re doing it wrong. Jey Kermis was on in room two and I can say hand on heart that I am now in love with his mixing skills, he was brilliant and I can’t wait for him to come back to Manchester so I can listen to him play live again. He really knew how to work the crowd, room two was like another world, the lights were crazier and the music was perfect. Lastly, enjoying her second visit to Store Street this year came Heidi. Despite dancing frantically for 6 hours, the swathes of punters showed no signs of fatigue. Heidi was emphatic, flawless. No-one does a closing set quite like her, it felt meaningful. A fitting finale.